“THE making of a big tech reckoning,” blared one typical headline earlier this year. “The case for breaking up Amazon, Apple, Facebook and Google,” touted another. Based on media coverage alone it might seem as if the tech titans are in trouble. 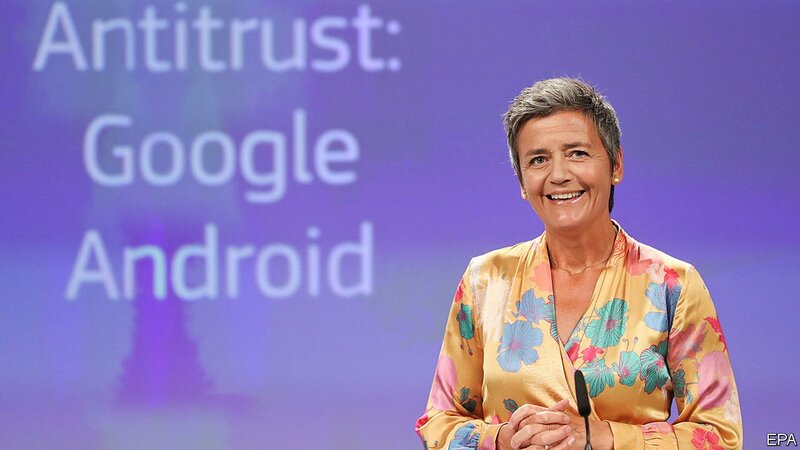 Add in the news, on July 18th, of a record €4.3bn fine for Google by the European Commission and that impression is strengthened. But if you look hard at where the regulatory rubber is actually hitting the road, the techlash seems much less brutal. Notwithstanding this week’s fine—which amounts to just over $5bn and is the biggest antitrust penalty ever—the online giants are nowhere near being reined in.